Our popular 'swimming fish' design is now available as a set of four quality placemats, perfect to bring a bit of cool coastal colour to your dining table. 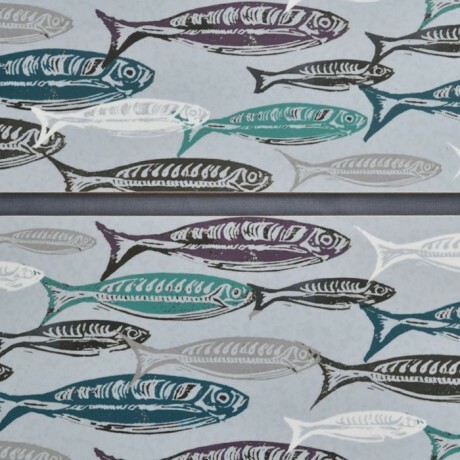 This fresh, contemporary design is inspired by an original lino-print where each fish has been hand-carved and printed to create a 'school' rippling through the water. I've re-coloured it in contemporary coastal shades of grey, white and teal to have it professional printed onto melamine placemats. The tablemats are made in heat, stain and scratch resistant melamine with 3.2mm hardboard and cork backing. Heat resistant to 145°c. Rectangular single tablemat 283mm x 206mm. 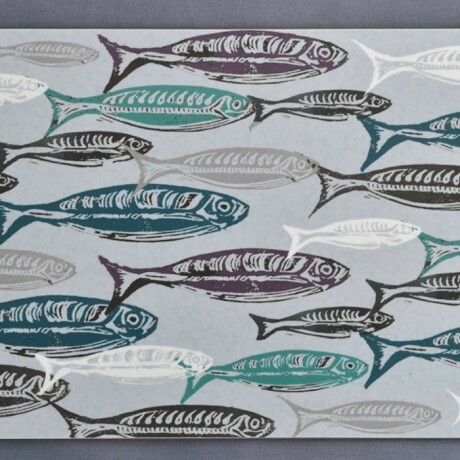 The tablemats are made in the UK. Illustrated mugs and kitchen linens inspired by the love for animals.